I would have loved to start the day off at Eiffel Tower to have a view of the city, but the time we were assigned was close to dusk so we were able to enjoy the change of light at sunset instead. Either way, it would be extremely wise to book tickets online to avoid the infamous 1-2 hour queueing time. The online ticketing system is usually booked out 3-4 months in advance, so look for tours offering Skip-the-line tickets or Behind-the-Scenes tours which lets you skip the queue. Take a video of the amazing view when you go up the lifts (they move diagonally in the first minute or two). Hop on the Batobus (hop on, hop off boats sans travel guide) to see this glorious museum. Formerly a train station, this in my opinion is the most beautiful museum in Paris. It houses the largest collection of impressionist and post-impressionist masterpieces in the world, by painters including Monet, Manet, Renoir, Sisley and Van Gogh. The architecture alone is worth the visit! There is a nice café on the top floor and a restaurant on the main floor (which we passed on due to the high prices). Get mini paintings in the form of bookmarks or postcards as souvenirs for family and friends. Extra tip: Every first Sunday of the month, this museum’s entry is free (along with most other Parisian museums except the Louvre). From Musee D’ Orsay hop on the Batobus again and get off at Ile De La Cite, one of two remaining natural islands in the Seine within the city of Paris. Walk across the Pont de l’Archevêché and snap pictures of the ‘love locks’ (while they are still there – the authorities have been taking them off Parisian bridges due to their sheer weight!). 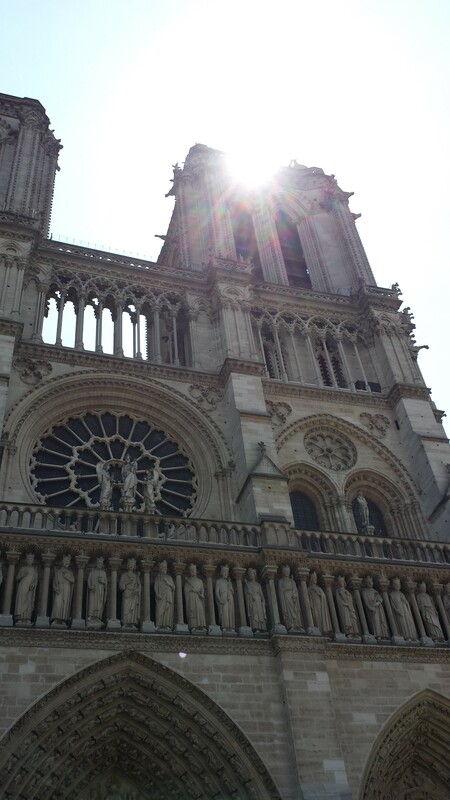 Cross the beautiful tree-lined square to the Cathedral Notre Dame de Paris. Queues to get in the cathedral and climb the towers are long so either buy tickets in advance or skip them. 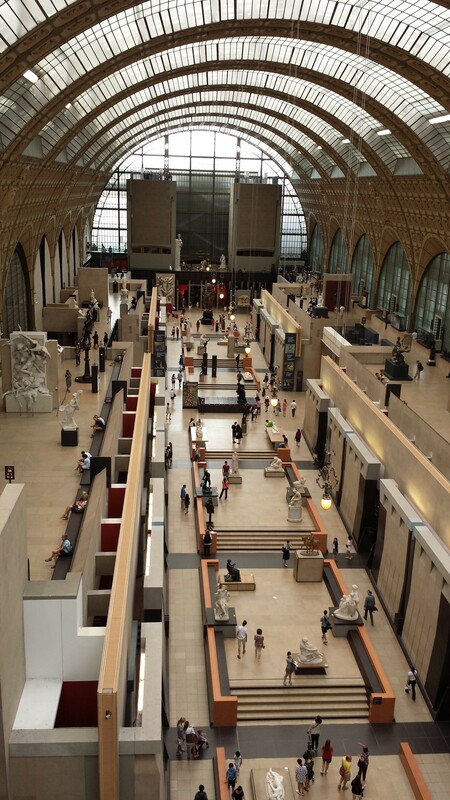 The Louvre is one of the largest museums and certainly the most visited in the world. Nearly 35,000 objects from prehistory to the 21st century are exhibited over an area of 652,300 square feet (originally built as a fortress). This is a gigantic museum so if you do decide to go in, be prepared to spend at least half a day there. 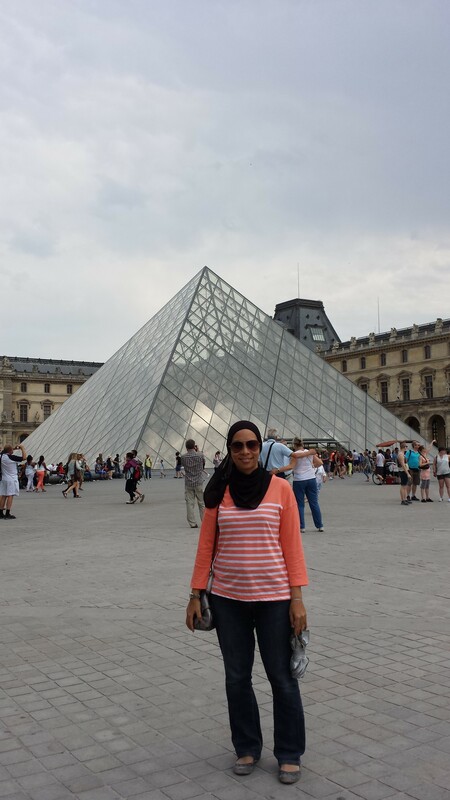 If you just want to see the Mona Lisa and pose in front of the pyramid, that’s ok too! 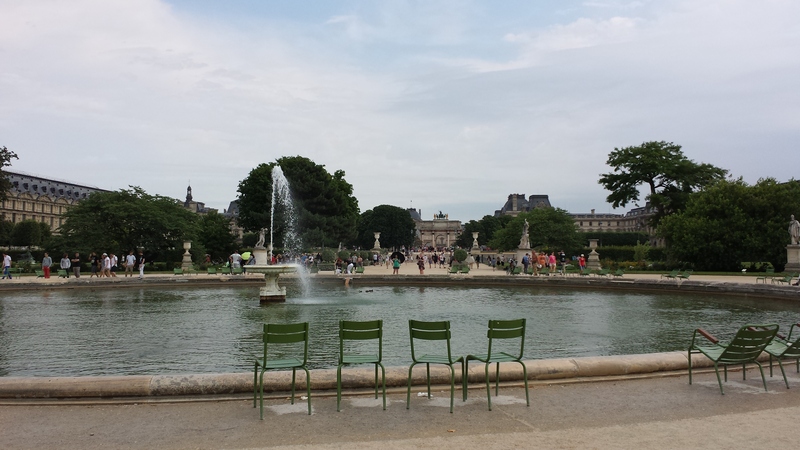 From the Louvre, go through the arch (Arc de Triomphe du Carrousel), walk along the beautiful Tuileries Gardens towards the Place de la Concorde. Marvel at the landscape architecture, stop at one of the cafes for a drink and bring the kids to the carousel, playground and Roue de Paris (Ferris wheel) near the entrance. 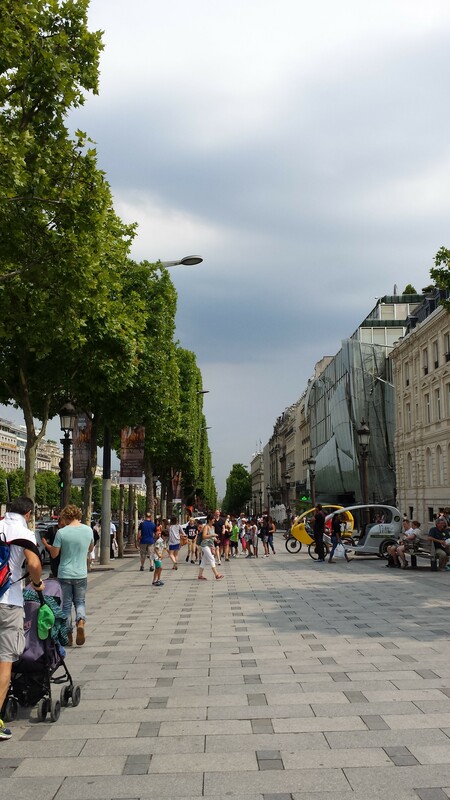 From Place de la Concorde, walk (or take the bus or Metro if your feet are already killing you) to the main shopping street of Champs- Élysées. There are plenty of shops and Parisian cafes to have some R&R and people-watch (though the prices will be sky-high! ), but the main attraction is the tree-lined avenue and the gorgeous view in a straight line from one direction (starting from the Louvre) all the way to the Arc de Triomphe and La Defense in the opposite direction. 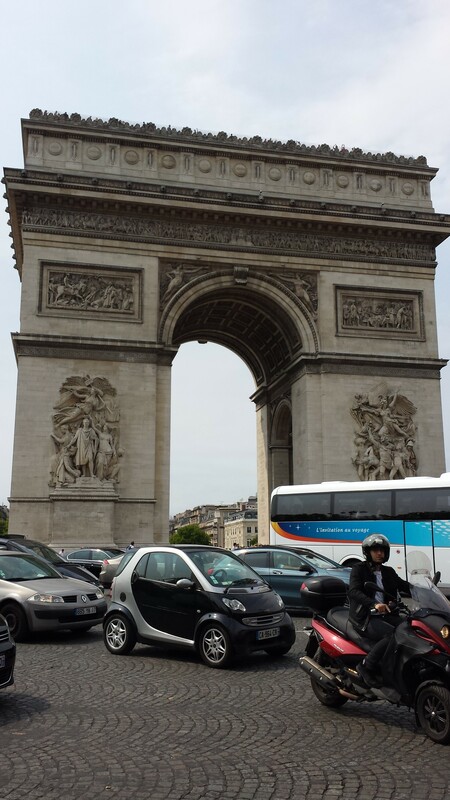 This majestic arch stands in the centre of the Place Charles de Gaulle (originally named Place de l’Étoile), at the western end of the Champs-Élysées. Use one of 2 underpasses located at the Champs Élysées and the Avenue de la Grande Armée. If you are prepared (again) to brave the queue – especially in the summer – you can go up the lift to the attic, where there is a small museum and the rooftop (the terrasse), with a beautiful panoramic view of Paris (including the Eiffel Tower!). 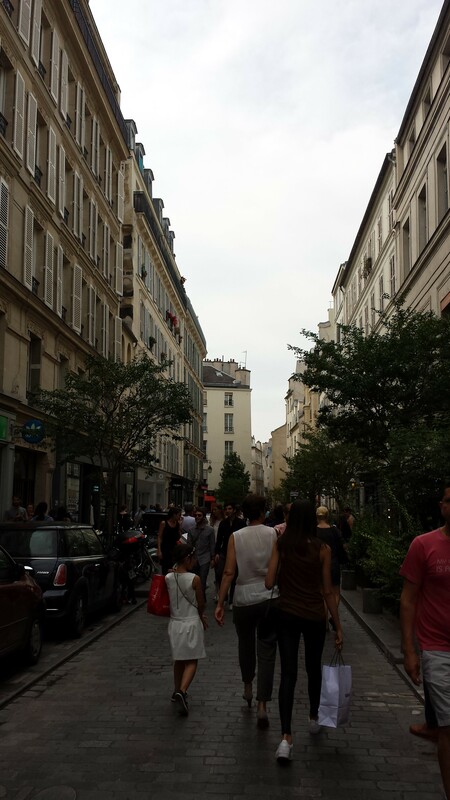 A historic district in Paris, a stroll through the Marais area is recommended if you’re in Paris. It is an ideal location to stay in, with small crooked medieval lanes which are alive with bars, cafes, hotels, boutiques, trendy shops, art galleries and museums. This is a traditionally Jewish (and gay!) area so don’t be surprised to see some long lines at shops selling falafel and other kosher delicacies. Go see the Pompidou Centre, with its marvellous inside-outside architecture and go up to the rooftop for amazing city views (which Paris is never in short of). For yet another amazing view of Paris (can you see a pattern developing here?) 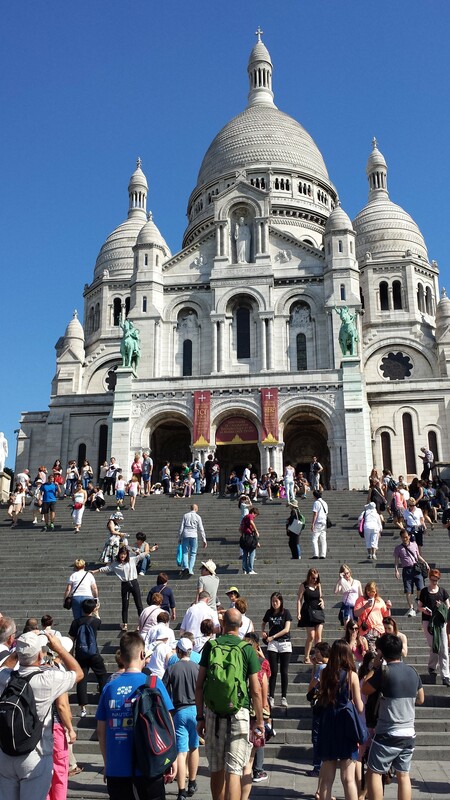 take the Metro to Anvers stop to visit Montmartre, a large hill in Paris’s 18th arrondissement (district). Go up the steps (or take the furnicular if you want to be kind to your tired feet) to see the white-domed Basilica of the Sacré Cœur on its summit. Afterwards, walk around the square (Place du Tertre) which used to be full of artists selling their paintings and wares, although now it is full of cafes. There is a “mini-train” which will drive up the hill and wind through the narrow alleys which will be a hit with the kids. Finally, if you are in Paris for at least 3 days, take a trip out of the city via either the RER or SNCF train to see the Palace of Versailles, which is a royal château in Versailles in the Île-de-France region of France. It was the principal residence of the French kings from the time of Louis XIV to Louis XVI and is a UNESCO’s World Heritage site. Don’t miss the Hall of Mirrors, Chapel of Versailles, Versailles Garden and the delightful Marie Antoinette’s estate. Online booking is highly recommended as you would save 1-2 hours. Right on the spot! 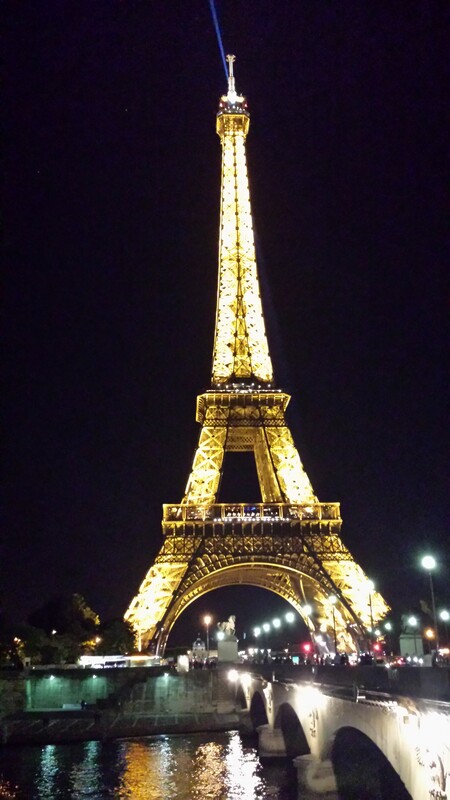 Good guide of Paris! Believe it or not, I actually did do all these over 3 days although I have to say this is because we didn’t go into the Louvre – which I would say requires at least half a day.